Family law covers far more than divorce or child custody. Simply put, if it affects the well-being of your family, it falls into this area of legal practice. 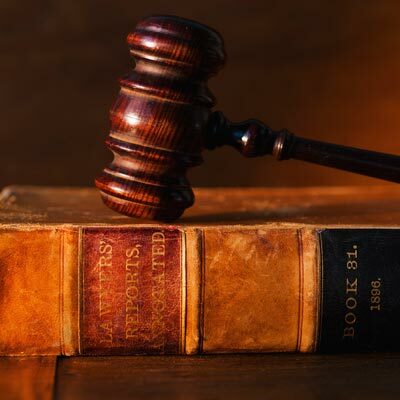 Today, the family lawyers at Trimnal & Myers Attorneys want to give you a brief overview of the legal services we offer at our law firm in Lancaster and Fort Mill, SC. Divorce: Divorce is one of the most common types of cases family lawyers take on. With proper guidance from a family law attorney, you can ensure that your rights and the rights of your children are protected. Child Custody: Child custody arrangements are one of the more emotional parts of any family law practice. Our lawyers are compassionate but won’t rest until your child’s well-being is assured. Child Visitation: Our family lawyers help separated parents come to co-parenting terms, including scheduling of visitation. Distribution of Property: Spouses going through a divorce are entitled to an equitable distribution of the marital assets. When you need help securing marital assets, our family law attorneys are here to help. Alimony: Family law also involves alimony payments. South Carolina law does allow for the Court to order alimony or spousal support, depending on the specifics of your case. Marital Settlement Agreements: Although South Carolina’s laws don’t specifically provide for a legal separation, couples wishing to live apart can seek advice from our lawyers out these types of agreements. Adoption: If you want to adopt a child, there are many things to consider. The lawyers at Trimnal & Myers Attorneys will help you navigate this often complicated process. Prenuptial Agreements: Many couples see prenuptial agreements as opportunities to create a stronger future together. If you’re getting married, talk to us to find out about what’s covered in a South Carolina prenuptial agreement. Paternity: Paternity can affect child custody, child visitation, and many other parts of family law. We’ll help you act quickly to make sure your rights are preserved. If you need an attorney for these or any aspects of family law, call Trimnal & Myers Attorneys at our Lancaster and Fort Mill, SC locations. We’ll fight to get the outcome you want for you and your loved ones. When you're facing a divorce or other family law matters, or need a probate, estate planning, or real estate lawyer, turn to the attorneys that people in Lancaster, Fort Mil, and Indian Land trust. Contact Trimnal & Myers Attorneys for a consultation today.